Dell is set to hire additional staff in Dublin, regardless of a planned merger with EMC. Aongus Hegarty, president of Dell for Europe, the Middle East and Africa, said the Irish situation is "positive", adding that the company is adding "15pc more capacity" to its sales workforce. "We're hiring 500 additional sales people both in Dublin and out in the field," he said. "These are investments for the medium to long term." Mr Hegarty was speaking at the company's 'Dell World' conference in Austin a week after the IT giant announced a $67bn takeover deal for EMC. The move has led to speculation over the reorganisation of roles within both companies. But Mr Hegarty said the proposed takeover would provide "great synergy" for the company across Europe and said that EMC's senior executives were a "good cultural fit" with Dell. "They [EMC] have very strong corporate customers and we're very strong in the mid-market," he said. "The feedback I'm getting in general from customers and partners is very positive." Dell employs 2,500 people in Ireland, including 1,200 in Dublin, 1,000 in Cork and 300 in Limerick. Mr Hegarty also said that the European economy is picking up. "We see it already," he said. "Export-led economies such as Ireland are starting to grow very quickly, partly because of the competitiveness of the euro, low interest rates and energy costs being low. Business confidence is going up across the region and we're seeing a lot more IT projects taking shape." 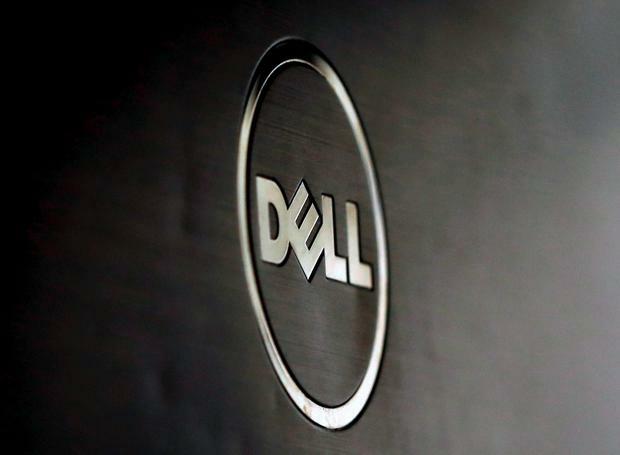 He said that Dell's Dublin-based bank, which the company uses to offer financing for Dell products among some European customers, is set to add Poland and South Africa to its area of operation. Mr Hegarty also praised the company's new Limerick 'Internet Of Things' research laboratory. "We're using that for the all the online demonstration capabilities," he said. "It's very important to have that all in one place." The lab, which opened earlier this year, is Dell's second global lab after another facility in California. Meanwhile, Dell founder and chief executive Michael Dell said Dell and Microsoft are not 'frenemies', but are "friends". Asked about Microsoft starting to sell its own laptops such as the Surface Book, Mr Dell said it could be a good thing for Dell. "Satya [Nadell, Microsoft CEO] has got some nice products, even if the prices are pretty high," he said. "But he's the ice breaker and we're going in with volume products. "If we can come in with a product that's more affordable and we can sell 100 times more of them, then that works."